This week it’s my great pleasure to welcome my virtual friend, author Louise Charles (whose real name is Jo Lamb). 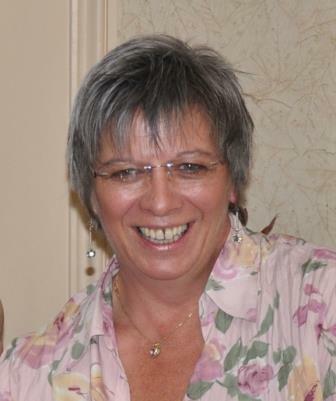 Louise is a talented author and founder of ex-pat writing community Writers Abroad. She self-published her historical novel, The Duke’s Shadow, in 2014, which was shortlisted as one of the finest eight novels in the Writers Village International Novel Award in summer 2014. Vanessa: Hi Louise, thanks for joining me on the chaise longue today. You used to work as a nurse in the NHS and still edit a couple of health journals. When did you start writing and why? Louise: Yes, I followed in my grandmother’s and mother’s footsteps in the nursing profession and left the NHS in 2001 after a number of different jobs. I started seriously writing as an escape from the stressful nature of looking after ill people, trying to create a world with happy endings! But I’ve always loved to read and have escaped into imaginary worlds as long as I can remember. I am a Pisces after all! You write under the penname Louise Charles. Why do you have a pseudonym and how did you come up with this one? I think the main reason for having a pseudonym was the idea of something (or someone!) to hide behind. I also wanted to separate my ‘day job’ from my creative writing. The name derives from my middle name and my husband’s middle name. Simon is a great support to me and my writing. You self-published your novel, The Duke’s Shadow, which is about a Victorian aristocrat who leads a double life. What was the inspiration behind the story? I read a snippet about the ‘Mad 5th Duke of Portland’ which led me to a newspaper article about his alleged staged death and just I followed the trail. I began to wonder how someone could live two lives. The Duke did live in a huge house with underground tunnels through which he travelled to avoid being seen and this features in the novel. The house and grounds are now used by the army for training. His family were also the main employers of the locals and highly regarded. There is only one family member left of this line now, Tim Bentinck, who appears in The Archers. You and your husband moved to Le Marche in Italy several years ago. 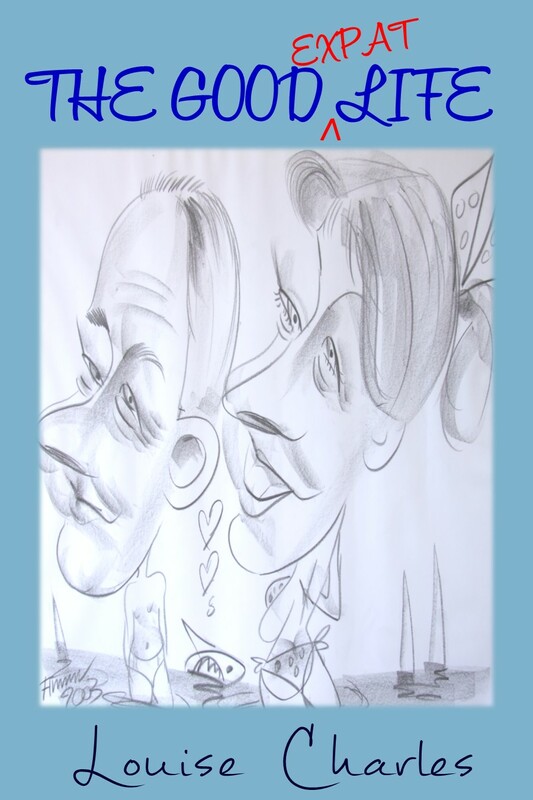 Your series, The Good (Expat) Life is about Penny and George, a couple who move to Italy. Did you draw on particular experiences of your own in writing the book? Oh, yes. Penny and George are caricatures of Simon and me, though I don’t really treat him that badly, nor drink as much wine, *cough*. The stories are based on a sprinkling of truth or a real life event since we moved here but are greatly exaggerated, as are the characters. All our ex-pat friends are desperate to know if they are one of them, but who would really want to be Veronica Viper? You founded ex-pat writers’ community Writers Abroad more than five years ago (of which I happen to be a member!). What are the highlights for you of this time? Writers Abroad has provided me with an immense deal of support and friendship since moving here in 2007. I would never have self-published my first novel without the confidence, support and advice that being a member has given me. When we lived in Dorset, I belonged to a traditional writers group and I really missed the contact. Although I’ve only met one member face-to-face we have a strong bond, as you know! Vanessa: I know you also put a huge amount of effort into keeping us members in order, running our site, and putting together our regular magazine and anthologies. You have a lot of projects on the go. Tell us a bit about what you hope to achieve in 2015. Oh, crikey. I’ve really set myself up for a fall this year I think! I have five other ‘works in progress’ which I want to move forward with during 2015. These are first rough drafts of between 50,000 and 75,000 words. Four of them are historical novels, and one is a fantasy which I’m trying to rewrite at present. I also plan to participate in National Novel Writing Month (NaNoWriMo), where another first draft will hopefully appear. This challenge really focuses my writing time. However, I really need to exercise a little reality when goal setting, that dreamy Pisces nature at work again! What would be your main words of wisdom to authors who want to self-publish? It’s not an easy route to seeing your work in print. I think the biggest obstacle for writers (whether they self-publish or follow the traditional route) is the marketing aspect. It takes up a huge amount of time, energy and persistence. It’s an area writers are by nature, not good at. You need to have a lot of self-confidence, so believe in yourself and your writing. And find a supportive writers group; it’s a very lonely place to be. Vanessa: I fully agree about the marketing aspect. The time it takes is a revelation – or a shock – and I’m published via the traditional route. The strangest thing was one reaction to my ‘online’ launch event on Facebook for The Duke’s Shadow. A local expat thought that meant I’d invited them all round here for drinks and nibbles and was gathering a group for a free ‘lunch’. It wasn’t until a friend gave me the nudge that I realised! Needless to say, said expat will probably be appearing in a Penny and George story in some form or other. Vanessa: Ha, ha! No such thing as a free lunch! What’s your favourite Italian dish? VinciGrassi – a dish local to the region I live in, Le Marche. It’s a rich lasagne but made with chicken and chicken livers and laced with Masala. Needless to say, like all things Italian there are many variations on the theme but it was named after an Austrian general whose name the Italians couldn’t pronounce! Vanessa: Yum. Sounds just my kind of thing. Louise Charles writes fiction, in the short and long form. She has had short stories published in Peoples Friend, My Weekly, anthologies and several online e-zines and fiction sites. She self-published her first novel, The Duke’s Shadow, in 2014. Louise lives in rural Italy where she shares her writing space with myriad rescued animals and the occasional visit from one of the hens. Her husband, known lovingly as ‘L’uomo Chi Fa‘ (The Man Who Does) is the source of constant inspiration, provider of food and the odd glass of vino or two. 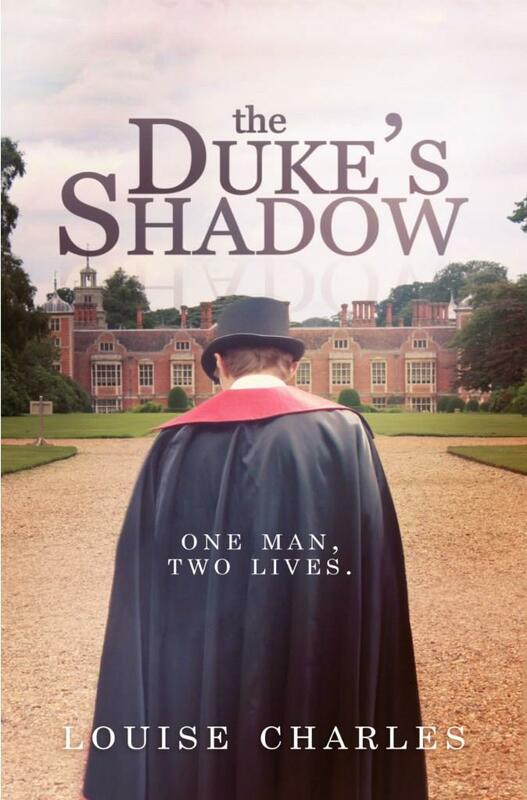 The Duke’s Shadow is available from Amazon. Copyright © Louise Charles, Vanessa Couchman 2015. All rights reserved. This entry was posted in Author interviews, Fiction, Historical Fiction, Short stories, Writers Abroad and tagged author interview, Expat, fiction, historical fiction, historical novel, Italy, Jo Lamb, Louise Charles, short stories, The Duke's Shadow, The Good (Expat) Life, writers, Writers Abroad by nessafrance. Bookmark the permalink. Great interview, Vanessa and Jo. Thanks for having me, Vanessa. A pleasure, Louise/Jo! You didn’t eat all the cake, either.